I'm not ashamed to admit I'm a Pirates of the Caribbean fan (well, except maybe the third movie, that was a bit of a mess) and I'm downright proud to say I worked on POTC: On Stranger Tides. 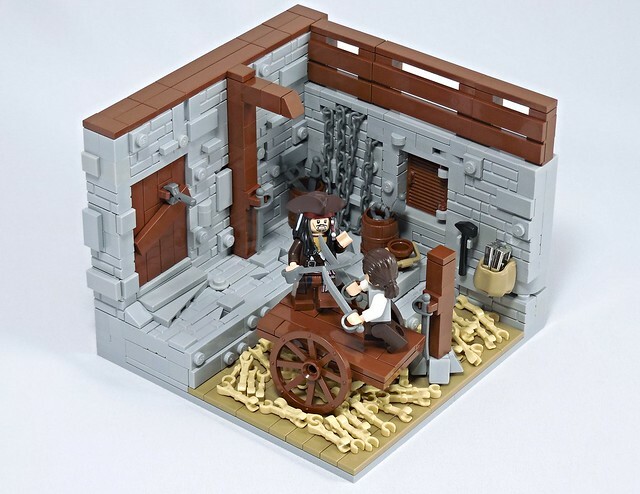 But in my opinion the first one is still the best one, and this MOC by vitreolum is one of the best scenes. There's a ton of detail packed into this little diorama, but not so much it's overly complicated. Like Will and Jack, it's perfectly balanced.